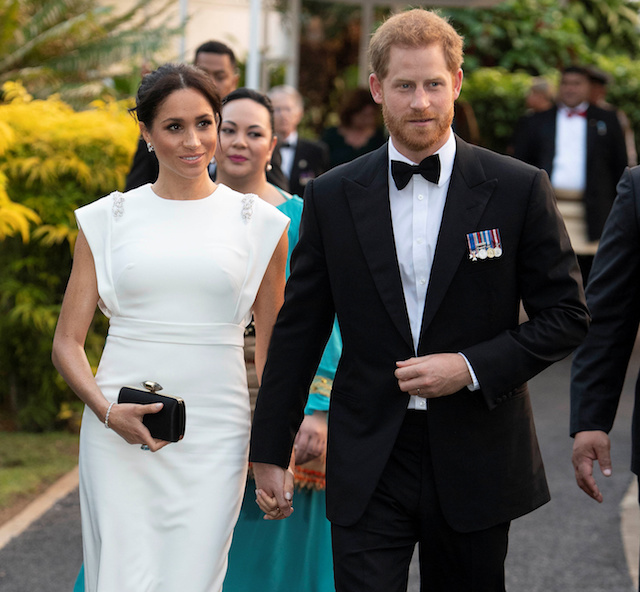 Meghan Markle was quite a vision in the white cap-sleeve gown that she wore Thursday when she arrived with Prince Harry at a state dinner in Tonga. The mom-to-be couldn’t have looked more elegant in the floor-length gown adorned with silver beading as she walked alongside the Duke of Sussex. The former “Suits” actress completed the beautiful look with her hair in a loose bun, black high heels and a matching black clutch. As previously reported, Markle had gone to the market to meet with vendors who were part of the U.N. Women’s project, “Markets For Change” program and had only been there for a few minutes when her security detail surrounded her and rushed her out of the location. 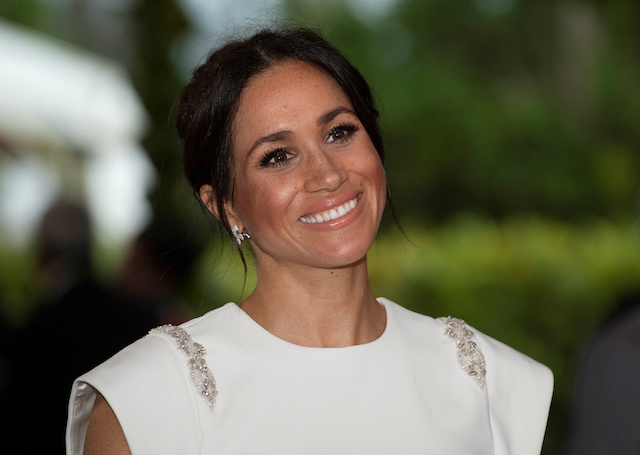 A short time later, Kensington Palace explained that the duchess was taken out of the market over “crowd management issues,” according to the Associated Press. Markle and Harry announced last week that they were expecting their first child in Spring 2019. The child will be seventh in line to the British throne.